We’ll find your favorite DISH package & get blazing-fast Internet speeds starting at 25 Mbps! Save a Bundle With DISH TV and Internet! We Make it Easy to Get the Best Deal! Get DISH TV and internet all in one place. By combining offers from all of the major internet and phone providers in the country, we are able to quite literally help you save a bundle! Fill out the form below so we can find the best deals in your area! An agent will call you back within five minutes - during normal business hours - and we'll have you taken care of in no time! You already know that a DISH TV package provides your favorite shows at the best value. Did you know you can boost your savings even more by bundling it with high-speed Internet? Relax, and get ready to pay less for more with BundleFinders! We use it to find your best local deals on bundled TV and Internet packages. Just fill out the form and we’ll start hunting for the best bundle available. Please expect a call within 5 minutes during normal business hours. Start saving more on your DISH TV and Internet right now! 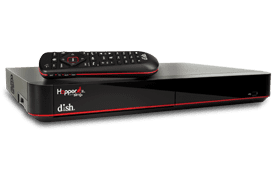 Why Bundle With DISH TV? Transform your computer, smartphone, or tablet into your TV and enjoy the comfort of home from anywhere! Now available on Amazon Fire TV products! Our free mobile apps let you manage your DVR and even view live TV and DVR content using our Sling technology. Welcome to the future, where DISH has exciting apps for news, sports, entertainment, gaming and more. By combining offers from all of the major Internet providers, we are able to quite literally help you save a bundle!